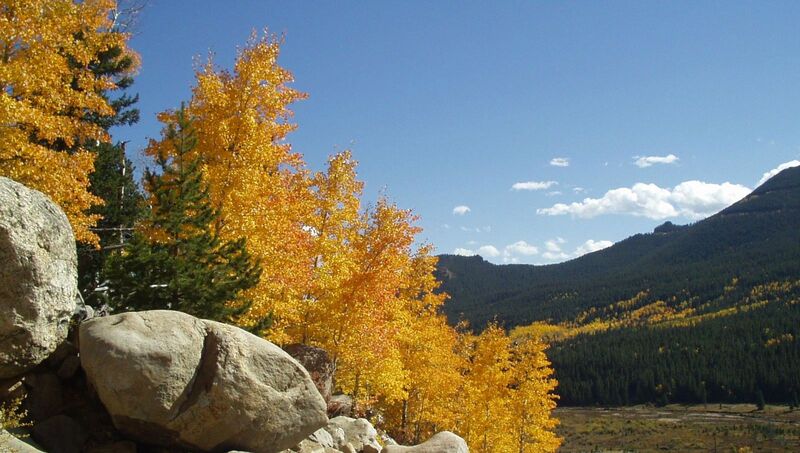 Rocky Mountain National Park is a great place to visit during the summer, but it is incredible during autumn. The weather isn't too hot, and the trees are so colorful. 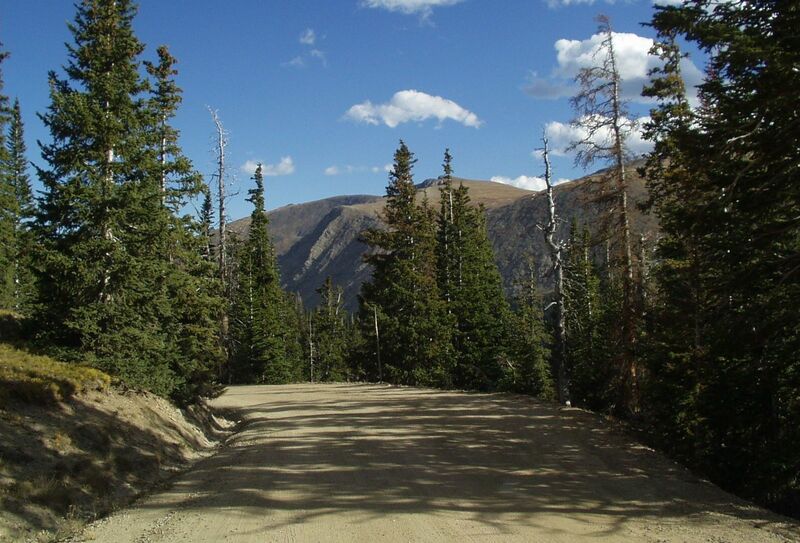 We enjoyed climbing the rocks at the Alluvial Fan, and driving up Old Fall River Road. In the evening, we watched the elk gather in one of the meadows. This is quite the event. People were lined up all along the road. Some people had tables set up with checkered tablecloths, and cheese, crackers and wine set out. We were seriously under prepared with just a cooler of soda and a bag of snacks. I didn't have a camera with a good zoom lens at this point, so the picture below is the best I could do, especially in the evening light. 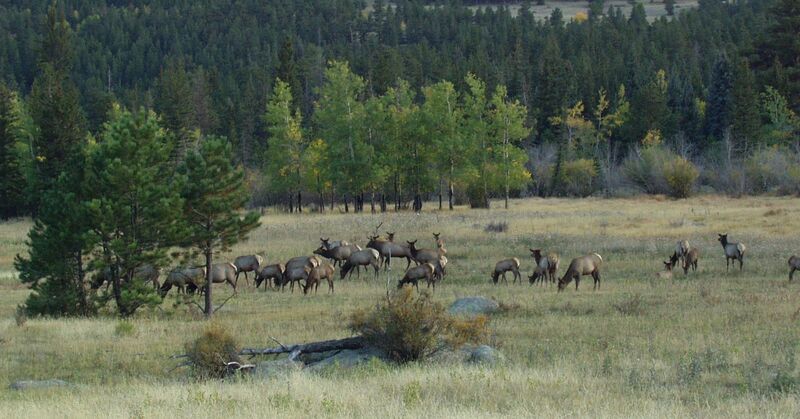 The park's website has more information about the elk, including photographs and audio.